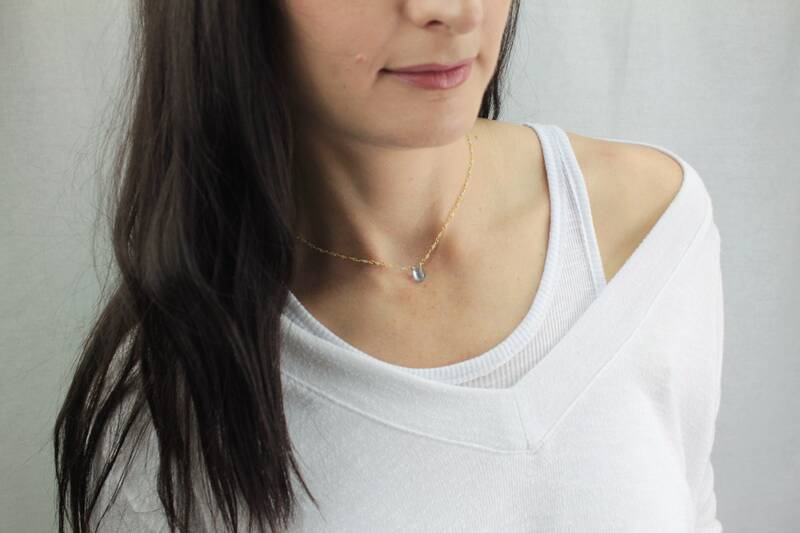 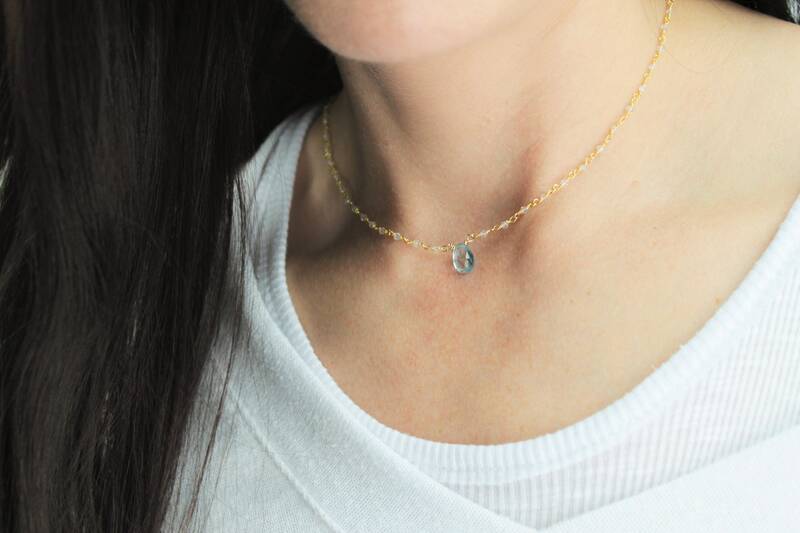 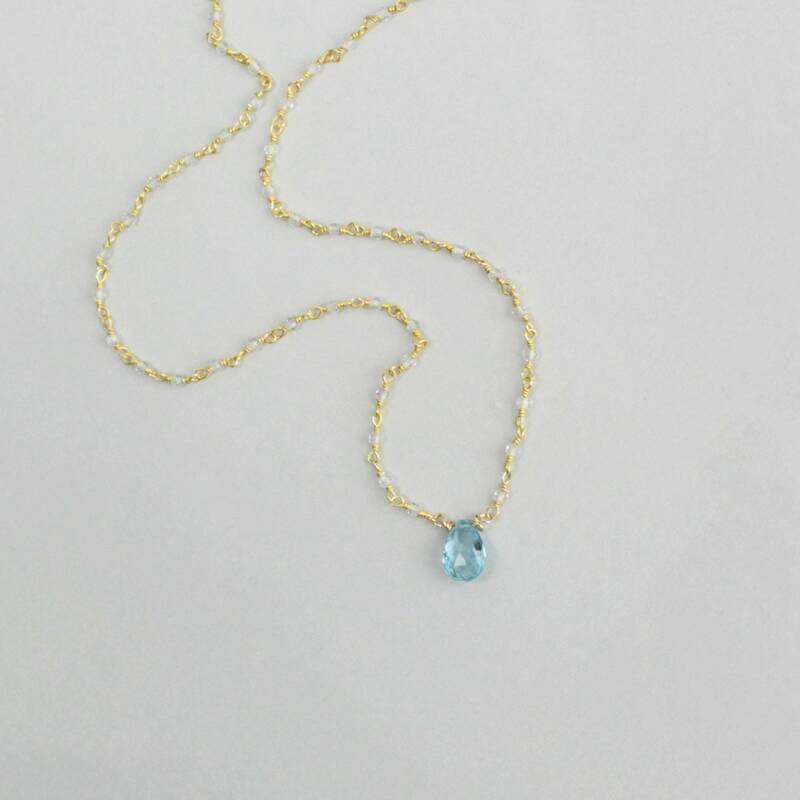 Our beautiful birthstone necklace is created with genuine stones in a crystal rosary chain. 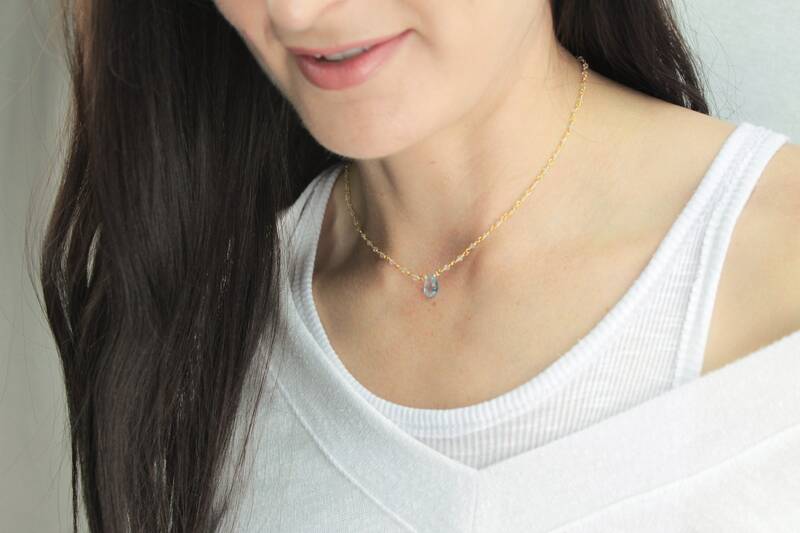 Wear your own, your significant others, or just your favorite color! 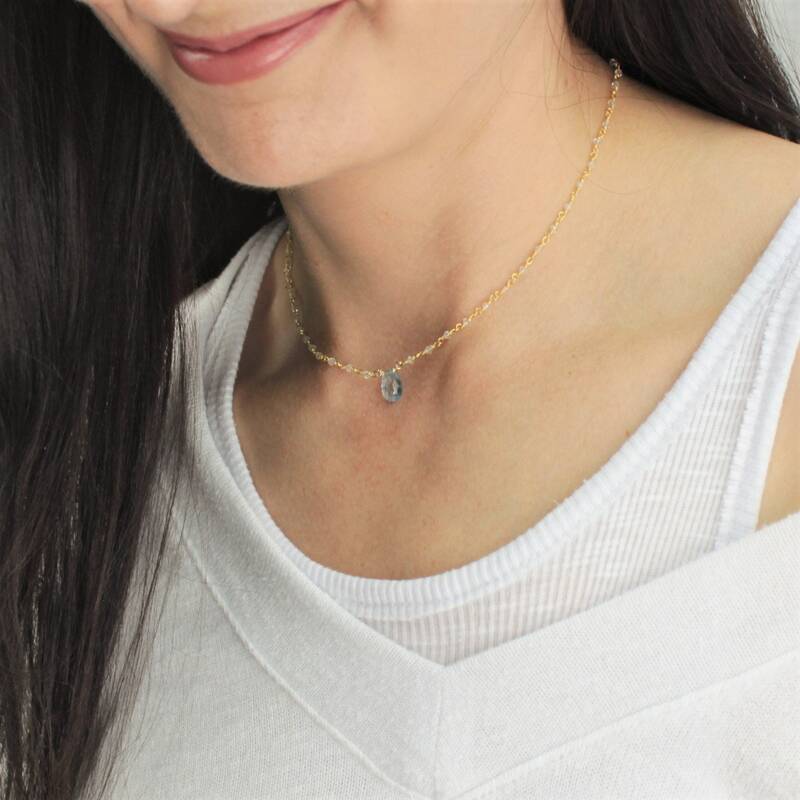 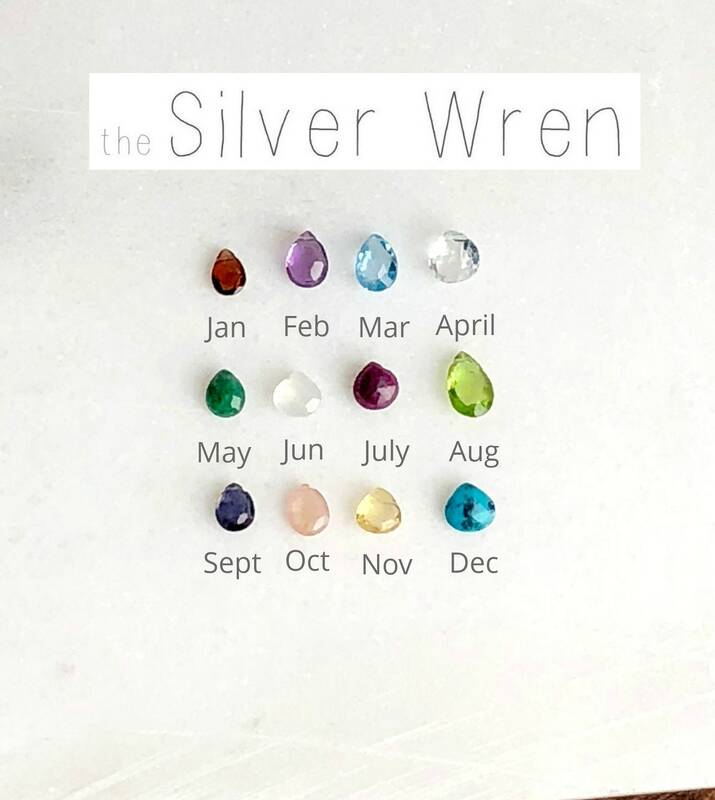 This design makes a meaningful gift for a new mom or a best friend. 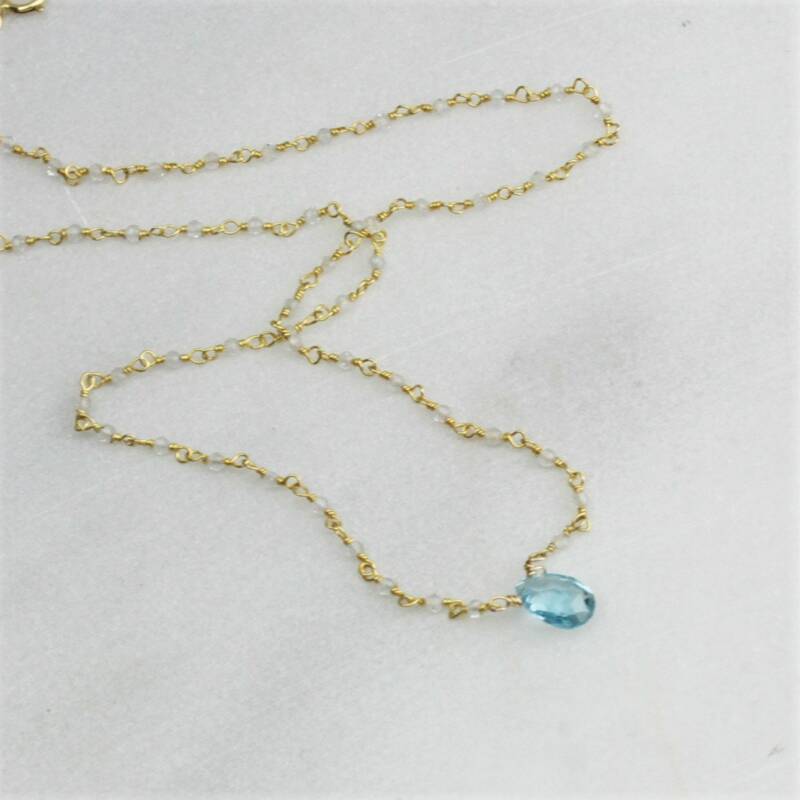 -Crystal and gold plated tiny rosary chain. 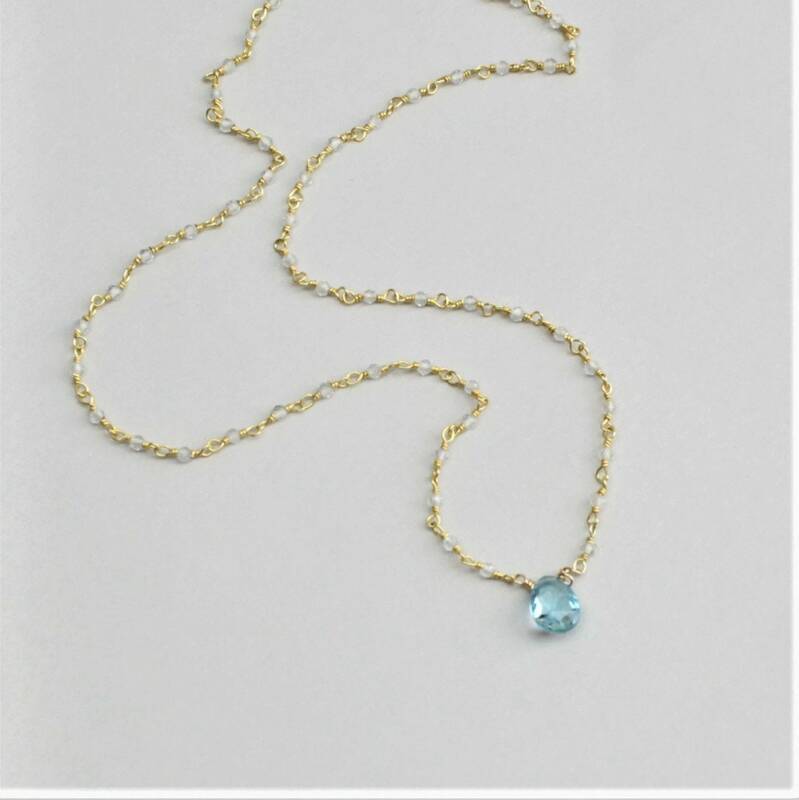 Shown at 14 inches with aquamarine.